The Screen Actors Guild LOVED Trumbo, maybe a bit more than me. This is just one of several award shows (which airs Jan. 30th on TNT and TBS), but it’s one of the few that gauges my interest more than others because it acknowledges both the film and TV world. Here are the nominees and some quick thoughts on each category. I really have no problem with this category. I have yet to see Revenant or The Danish Girl, but I don’t doubt the performances of DiCaprio or Redmayne carry their films like the other nominees. If there was someone that I would like to see get more credit, it’s Jason Segel as David Foster Wallace in End of the Tour. It didn’t take much transforming, aside from the obvious hair and glasses, but Segel’s performance is as engaging and natural as any from the summer…especially in his interactions with Jesse Eisenberg. I can’t get upset about this category because I think it’s Brie Larson’s award to lose, and hers alone. However, I’m surprised Jennifer Lawrence was left out after another highly anticipated David O’Russell role. Of course the film hasn’t hit theaters yet, so I can’t really talk..Alicia Vikander deserves more love for Ex Machina because she still haunts my dreams for her performance. This category is HEAVY. Even without Mark Ruffalo (Spotlight), Sylvester Stallone (Creed) or Paul Dano (Love & Mercy), it looks stacked…but I’d like to see them all in it. Helen Mirren has 3 nominations here and I’m not sure she’s winning any of them. It will be fun to see what her batting average is though by the night’s end. I would be interested to see what kind of buzz Jennifer Jason Leigh gets after Hateful Eight is released. Spotlight is my favorite film from this year and it deserves all the good things that come its way. I am surprised both The Martian or Steve Jobs were left out of this category, considering how star studded their casts were. Their performances didn’t disappoint either. I don’t have many thoughts on this other than (1) Luther rules, (2) I turned off A Very Murray Christmas after 10 minutes and (3) Where is Oscar Isaac for Show Me A Hero. I literally have zero thoughts about this one, because I haven’t seen any of the nominated performances yet. I’m happy to see Rami Malek get props for playing the best introvert on TV, but this is Don Draper’s victory lap and I don’t see anyone getting in his way. I’m also always shocked to not see Mads Mikkelsen ever nominated for Hannibal. I guess that’s for fringe loving types like me. Viola Davis has the momentum from the Emmys but I will always maintain that the past two seasons of House of Cards have been great nearly because of Robin Wright as much as Spacey. Modern Family to me is “What Will Phil Dunphy Do Next?” because that’s all I watch for now, but Jeffrey Tambor holding a torch for the transgender community has become way more important. If you’ve been watching the second season of Fargo, you’re probably wondering if perhaps the actors didn’t know how to spell it filling out their nominations, considering every Monday night feels like the show’s best episode…If you’ve been watching Homeland this season, you might be wondering why it’s on here. The season finale is in a week and I still have no idea if it was good or not this year. I would love to see Key & Peele ride off into the sunset with some hardware. Fury Road is one of the best films of this year and a modern classic. Pick against it and you lose. I just watched end Episode 2 of the first season again. This is why I love Daredevil. How are you pulling for this Awards season? Let me know on Facebook or Twitter. Happy First Day of Fall, Chicago. 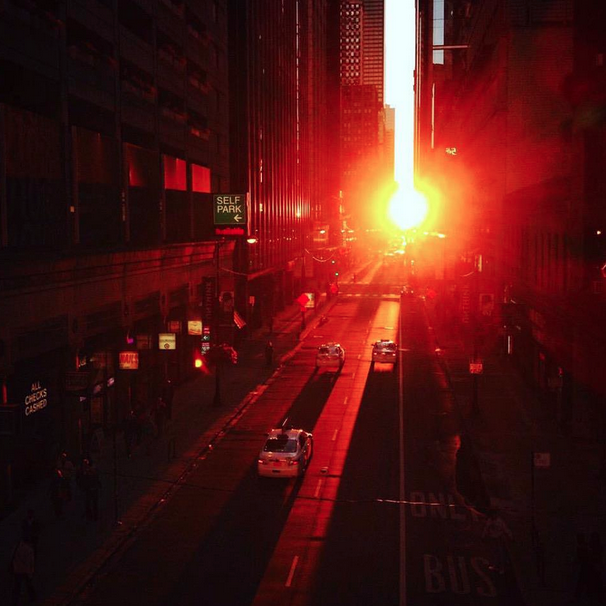 If you were up early this morning, I hope you got a good look at “Chicagohenge” as the sunrise lined up with the city’s East-West grid. You can check it out again at sunset, in cased you missed it, but it only happens twice a year. Fall is my favorite season in Chicago, and I know I’m not alone saying so. Sure it means “Winter is Coming“, but it’s more like opening a fresh jar of peanut butter than it is scraping the bottom of one. Sweater Weather is so good that The Neighborhood recorded a song about it…Some of us are much more in our element with long sleeves and a cool breeze. Has fashion ever blessed us with anything better than the hoodie? 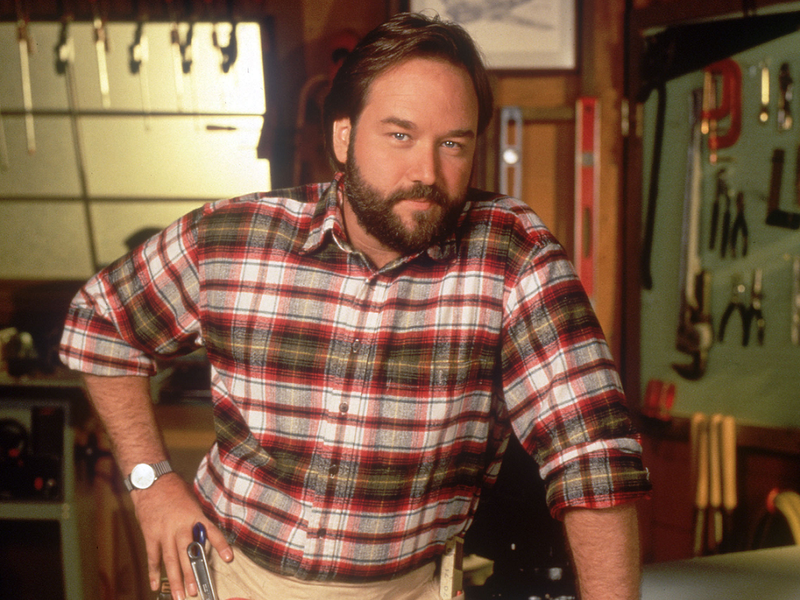 And when else is Al Borland’s getup ever sexier? While sweaters and flannel are fantastic on their own, they both pair perfectly with the always lovable “puffy” vest. At least you’re getting ahead of the curve for Star Wars: Episode VII. 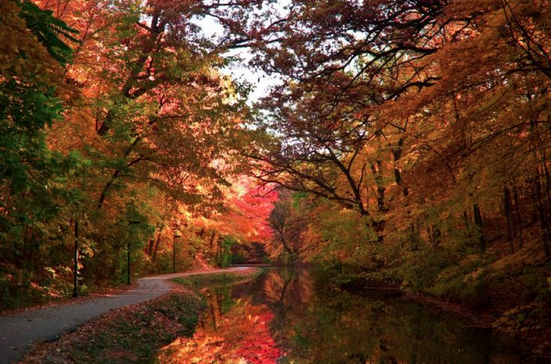 Fall foliage is a thing in Chicago. It may be the most stunning part about living in a region with four seasons. 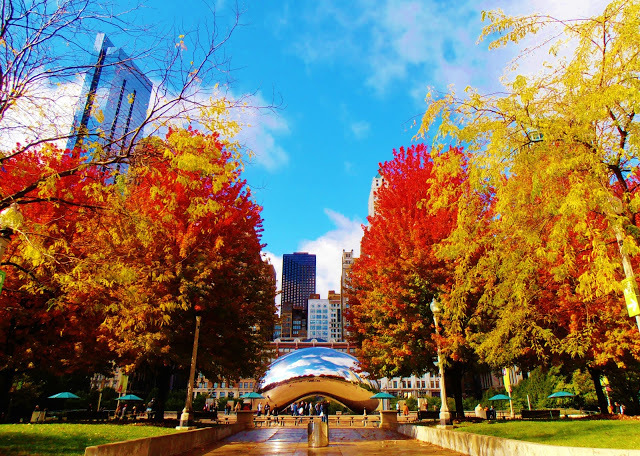 Amidst the hustle and bustle of the Loop area, you can get lost in the changing of the leaves around Grant Park. Perhaps take a walk around Lincoln Park as the zoo tigers are camouflaged with the trees. I’m also looking forward to the views along the new 606 Trail and West Ridge Nature Preserve. If you’re looking for a nice getaway from the city, take an hour and half trip west on Rt. 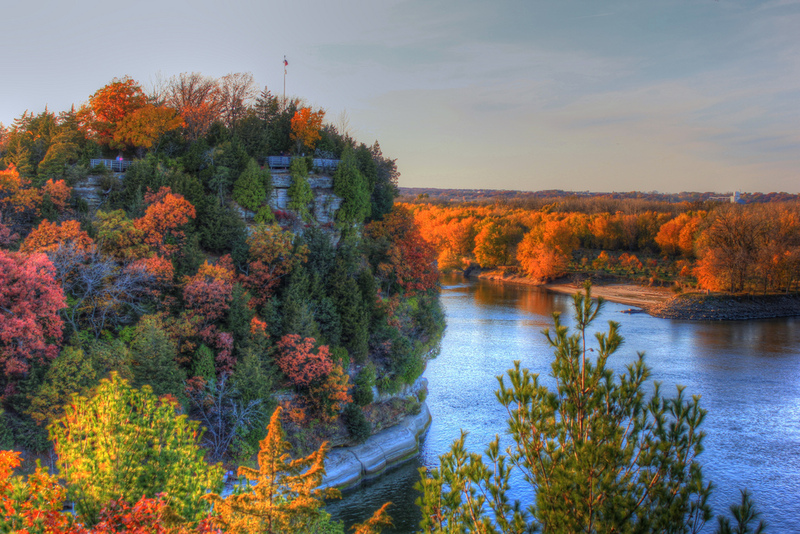 80 toward the Illinois Valley and see what Starved Rock is all about. The hiking is fantastic and nearby are the greatest wings ON THE PLANET at Skoog’s in Utica. 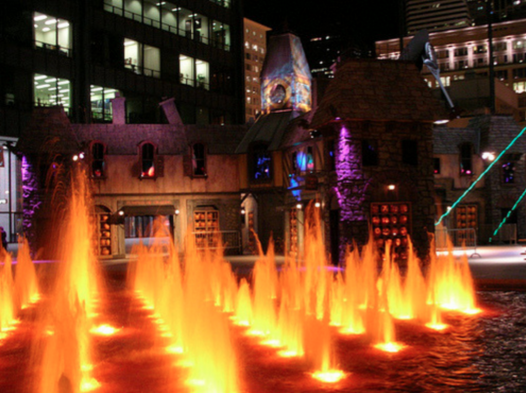 While you’re already heading west, go see what the Quad Cities are all about. The first half of my college years were certainly highlighted by the unbelievable view at Augustana College walking the Slough Path to class. Hey now…You can take a train from Chicago to Rock Island, so it counts. I know, Bears fans. 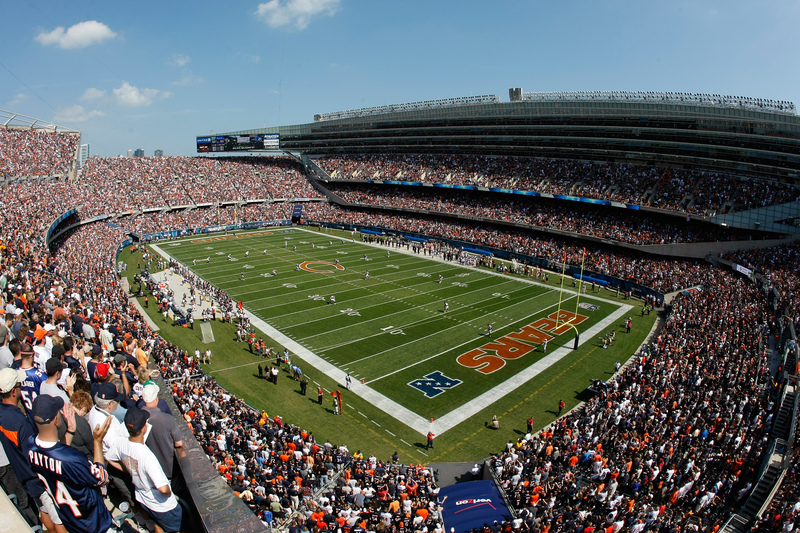 Not the start to a season that anybody wanted…but when did that ever stop you from throwing on your blue and orange and fill up Soldier Field? Seriously. Those games are always sold out…At least you have Fantasy Football and tailgating, right? It won’t be too long before the United Center tenants are back at it making 1901 W. Madison into a Madhouse again. The Blackhawks drop their new Stanley Cup banner and set to defend it starting with the New York Rangers Oct. 7th, and the Bulls tipoff with their season against LeBron James and the Cavs on their NEW home floor Oct. 27th. …and don’t forget Northwestern Football. 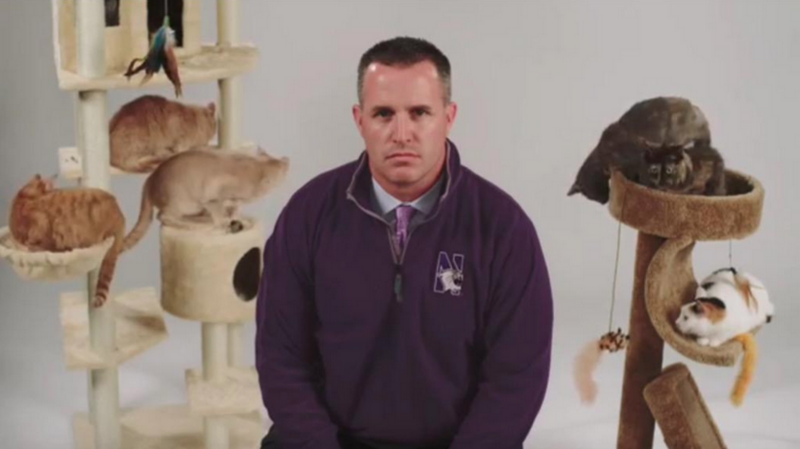 Coach Pat Fitzgerald won’t let you. 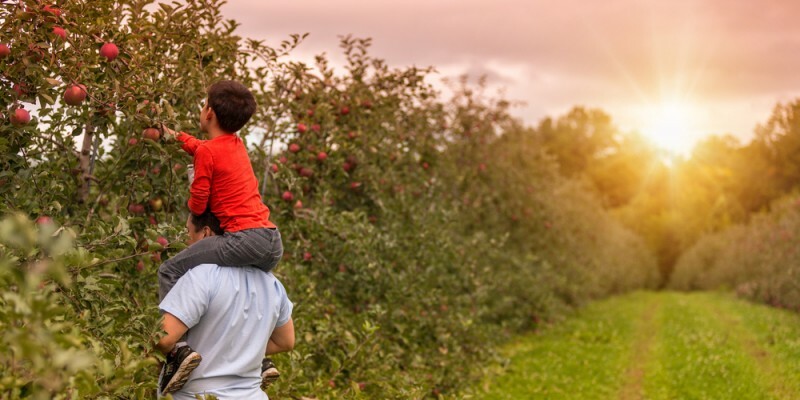 According to my Facebook feed around this time each year, couples and families LUV to go apple picking. For those of you interested in this sort of thing, here’s a helpful directory for you. For those less inclined to do free manual labor on the weekends, might I recommend APPLE FEST in Long Grove? 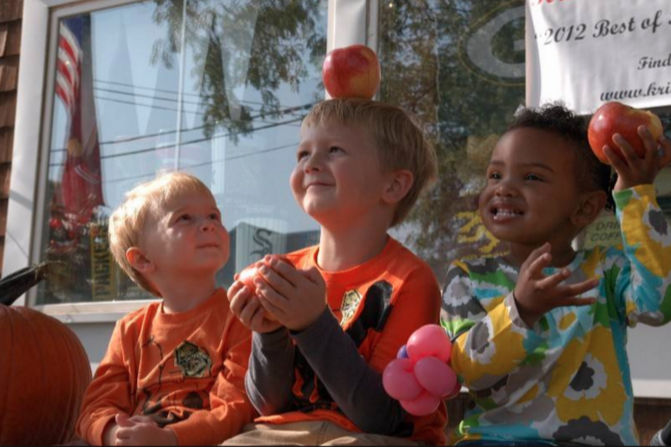 Starting this Friday, Sept 25th through the weekend, all the fun shops and vendors in tiny and quaint Long Grove gather to share apple treats and all the joy Fall can bring. There’s music, cider doughnuts, apple sangria, and I hear the Confectionary is making white chocolate and cinnamon sugar candy apples. Can someone please try to recreate this photo and post it to the Facebook page? Thanks! Quick remedy? 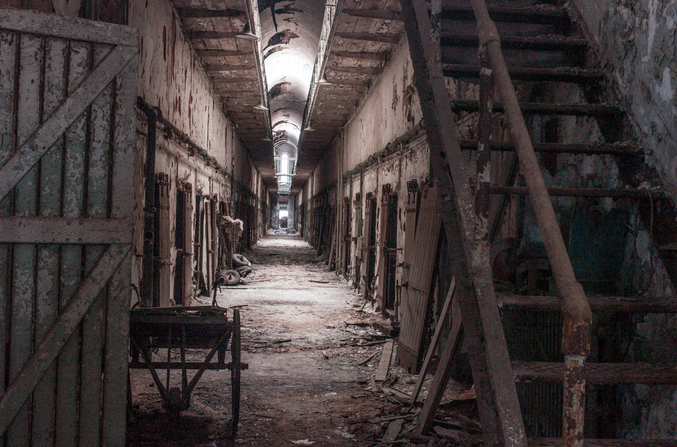 How about a trip to your nearest terrifying Haunted House? For years I’ve been trying to gather friends (and the nerves) to try the Statesville Haunted Prison. If you’re interested, just Tweet at me. If you’re less than willing to have the begeezes scared out of you, I would recommend doing what I have for the past few years…hit up a Bulls game and count how many “Where’s Waldo” costumes you find. It’s absurdly entertaining. 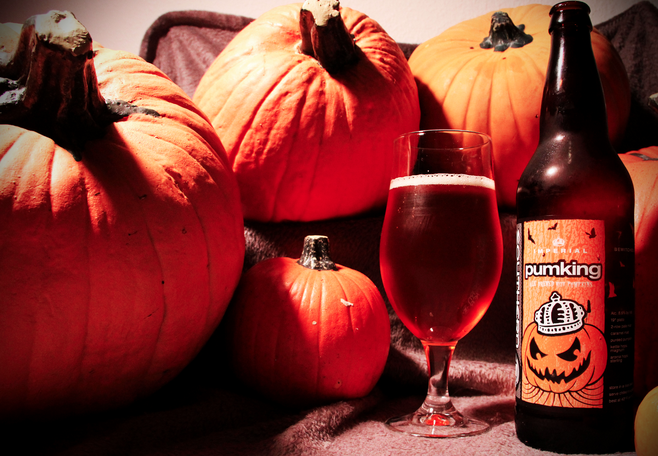 I know, Pumpkin Spiced Anything is the fad this time of year…but so are several seasonal adult beverages. The patios are still open across the city, and what’s better than a “warm apple pie” or some other warm cocktail while siting along the the Chicago river walk? If you happen to have some recipes for excellent Fall-coholic beverages, please feel free to share them on the Facebook page and I’ll post them to the site as well! That totally looks worth running a 15k or 5k. Not necessarily something Chicago-centric, but it’s the F’ing Peanuts. Who didn’t grow up on Snoopy and all the holiday specials? With the new movie coming out in November, it’s hard to imagine there won’t be a ton of fun promotions around the city for it. 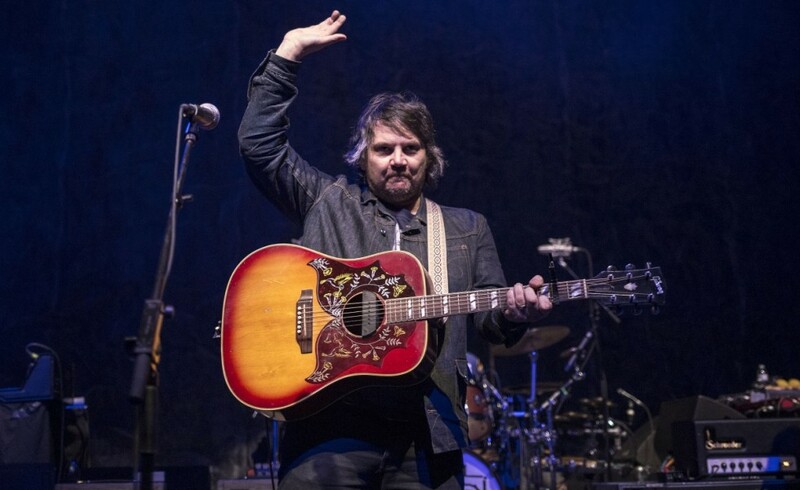 Festival season is over, but the music lives strong in Chicago year-round. You let me know on Facebook and Twitter! Will Better Call Saul pick up where Breaking Bad left off? 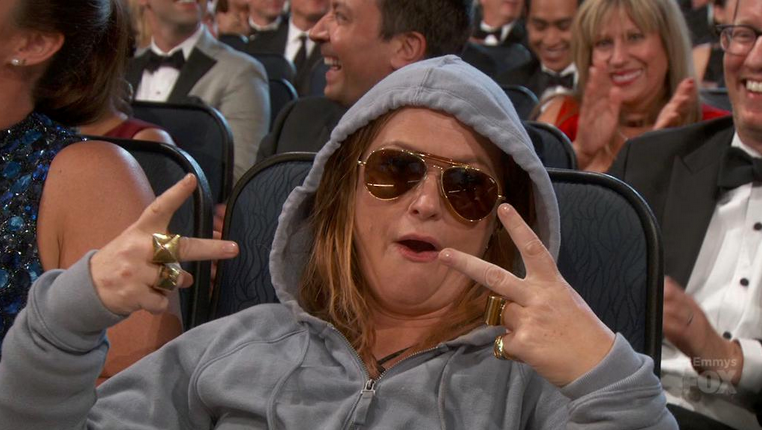 Do Jon Hamm and Amy Poehler finally get their due? Which show gets more love after airing their final episodes, Mad Men or The Newsroom? WHY DOES EVERYONE ON AMERICAN HORROR STORY GET NOMINATED? We may never know about that last one, but we can make our predictions anyway! I’ve stuck to most of my WAY TOO EARLY picks from the summer, but you can cast your votes for each category. My Pick: Late Show, Letterman’s farewell was too good. Share your picks and tell your friends to do the same on Facebook and Twitter! The 67th Primetime Emmy Award Nominations were announced Thursday morning and without Bryan Cranston, Aaron Paul or Anna Gunn to be seen, the “Post-Breaking Bad” Era has officially begun. This year, the Emmys recognize the best programs and performances on both television and streaming services between June 1st, 2014 and May 31st, 2015. HBO’s “Game of Thrones” leads the field with 24 nominations. Along with the official list of nominees, I’ll make my WAY TOO EARLY picks to win. During the week of the actual awards show, September 20th, I’ll revisit the picks, see if my mind has changed, and further explain my picks. Who are you pulling for this year? Let me on Facebook or Twitter.